Auto Express managed to obtain a leaked photo of the 2011 Volkswagen Passat. The new car sports a squarer, slightly more aggressive design, with flared fenders, lower air intakes, and a chrome grille and new headlights matching the rest of VW’s new models. Engine options haven’t been confirmed yet, but we’re likely looking at a 2.0L turbocharged four-cylinder producing around 200 HP in the U.S. Europe will probably get the same 1.4 and 1.8L TSI gas engines and 1.6 and 2.0L TDI diesels as the current Passat, along with a 2.0L turbo R model delivering 270 HP. 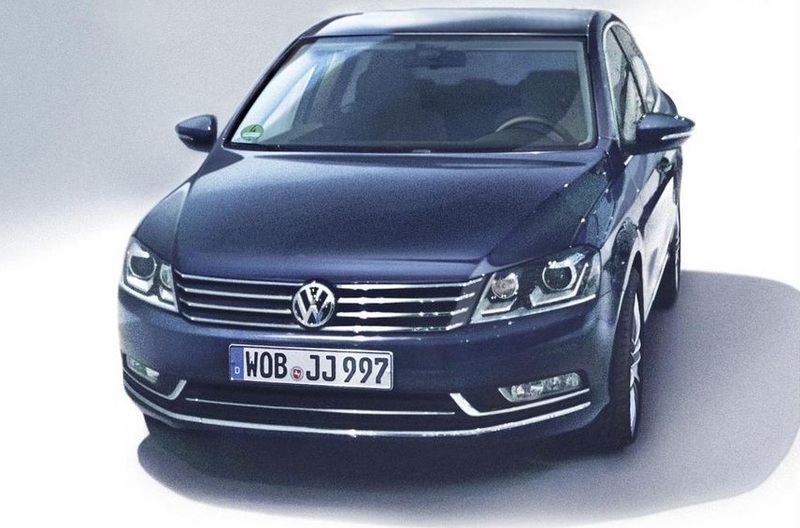 VW will officially unveil the 2011 Passat at the Paris Motor Show in October, and the car should hit showrooms by early next year.